Earlier this month, Kanye West launched a website with a mysterious countdown clock. As was speculated at the time, this is counting down until the launch of the rapper's new Adidas partnership, and now its been revealed the the rollout will be streamed live in theatres. If you're the kind of person who wants to go to a movie theatre to watch the debut of a shoe, then you'll be pleased to know that the New York-based presentation will be screened in 50 theatres, including two in Canada. The live simulcast will start tomorrow (February 12) at 4 p.m. EST at the Scotiabank Theatres in both Montreal and Toronto. Those theatres began distributing passes today (February 11) at noon; there's no word as to whether there are any left. Get more information about tickets right here, and see West's tweet about the event below. The launch will feature artist Vanessa Beecroft. 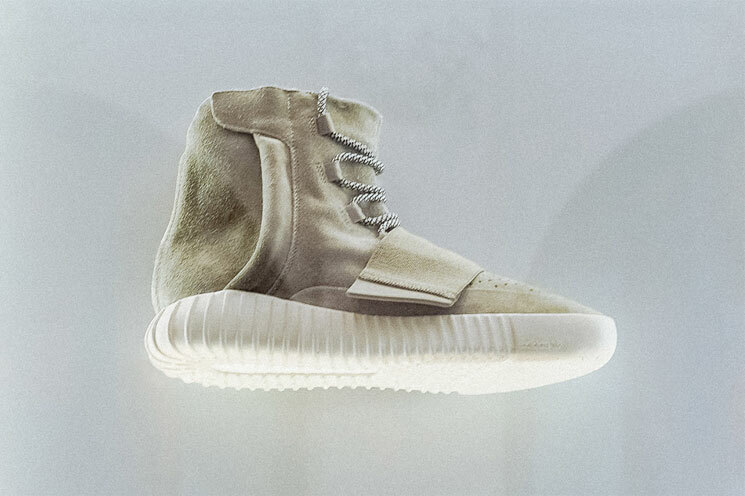 The shoe is called the Yeezy 750 Boost. That's what it looks like above. The shoe will be released in an initial run of 9,000, and it will cost $350 U.S. They can be reserved via an Adidas app. If you don't get your hands on a pair, don't fret too much, since Kanye has promised that Adidas will release more pairs later, and there will be enough to meet demand.